Miami In Focus Photo Gallery of the Romeo and Juliet Statue C81 in Central Park. 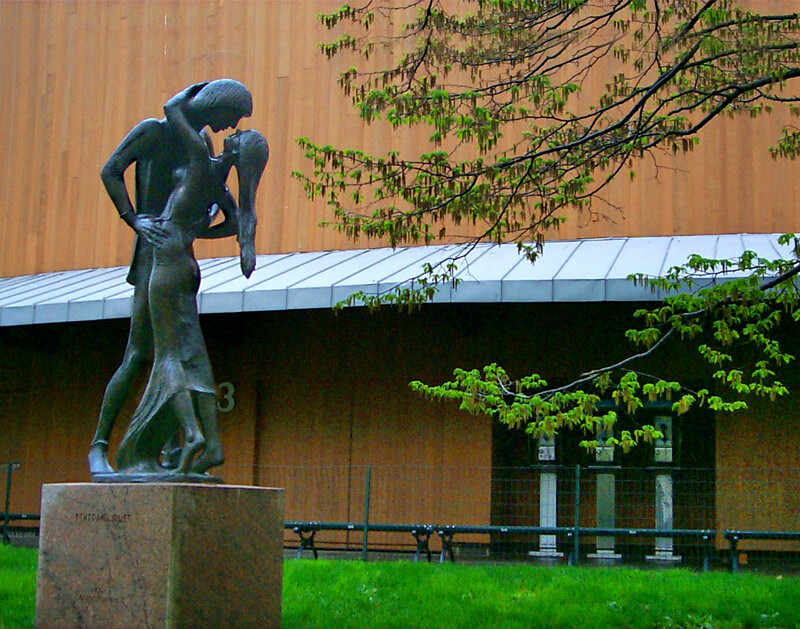 Located outside of the Delacorte Theater at the edge of the Great Lawn in Central Park is a bronze statue depicting the two lovers from Shakespeare’s play“Romeo & Juliet” published in 1597. Entwined in an embrace, Romeo caresses Juliet as they profess their love for each other. Since most of the plays performed at the Delacorte Theater are Shakespeare’s plays, it is suiting for this statue to find its home here.